The AR-15 has become one of the most popular firearms among American gun owners due to its accuracy, versatility and lightweight frame. Its modularity is another attractive feature of this modern sporting rifle. While there are many excellent pre-built AR-15s on the market, some gun owners choose to build their own by assembling parts and accessories to create a unique custom build. One of the fundamental elements needed for an AR-15 custom build is the upper receiver. 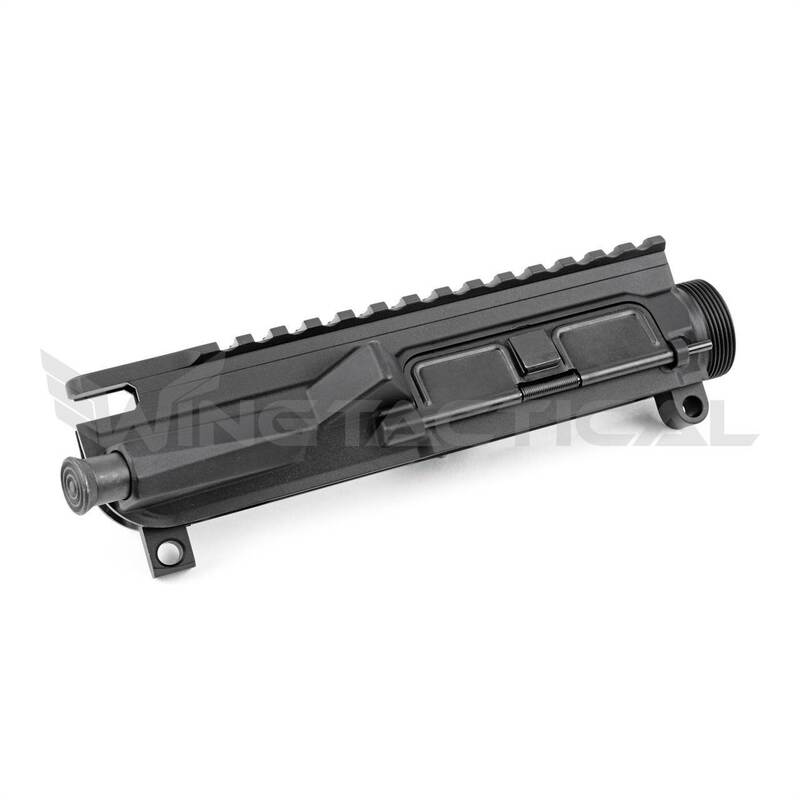 The receiver is the part of an AR-15 onto which you build all the other components. It consists of two parts: the upper and lower receivers. The lower portion is the serialized and legally controlled part. The upper receiver affixes to the lower and holds all of the other parts. You can purchase an upper receiver with all the parts already in place, including the barrel, gas block, charging handle and other components. 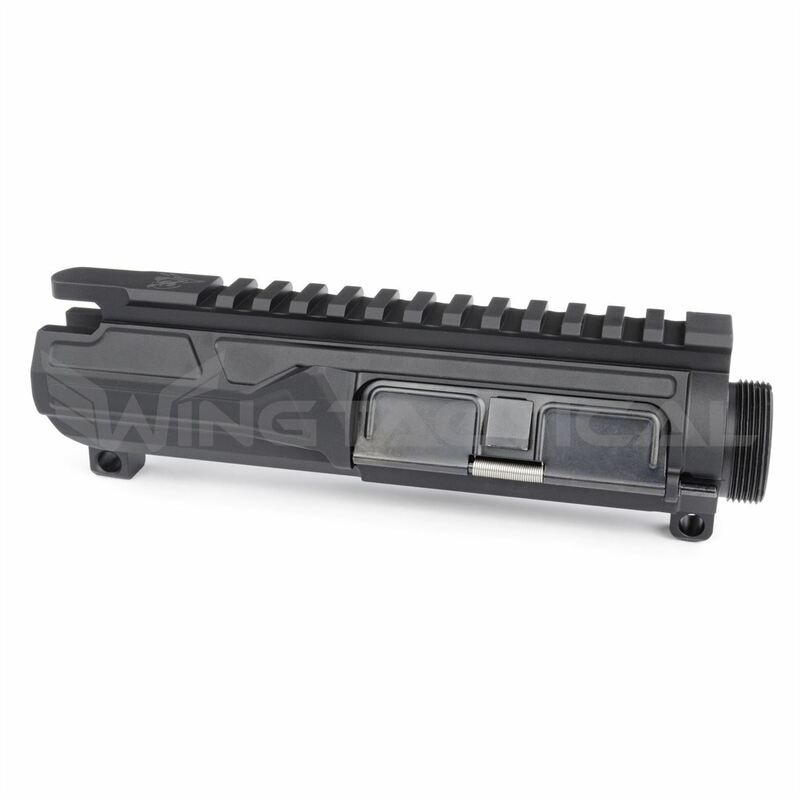 You can also buy a stripped upper receiver, into which you can install whichever parts you choose. 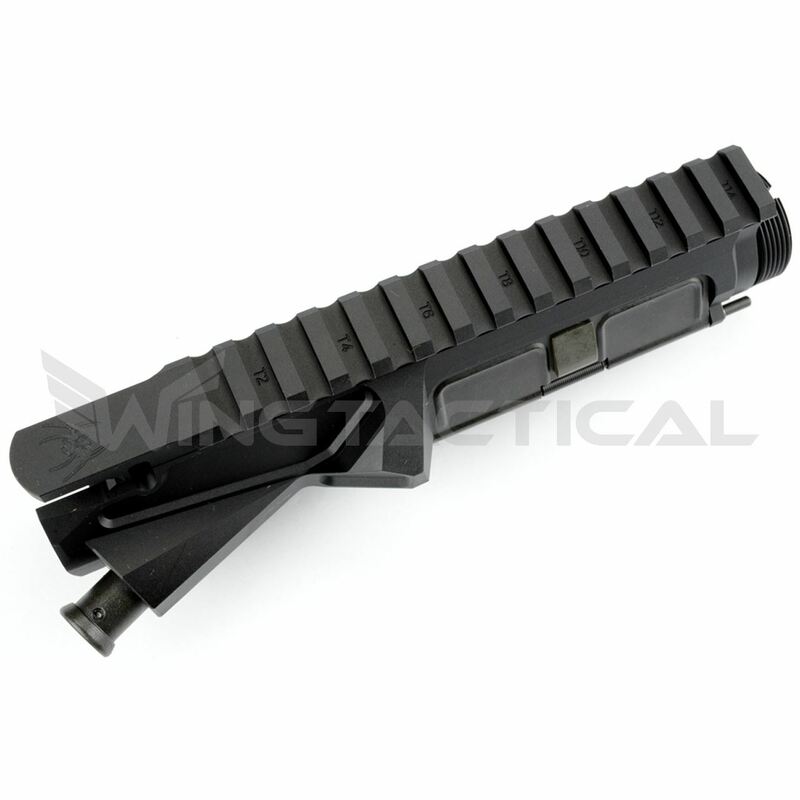 AR-15 A1 Upper Assembly: Developed in the 1960s, the A1 is the earliest type of upper receiver. It enables accurate firing at up to around 450 yards and provides a 1:12 twist rate. 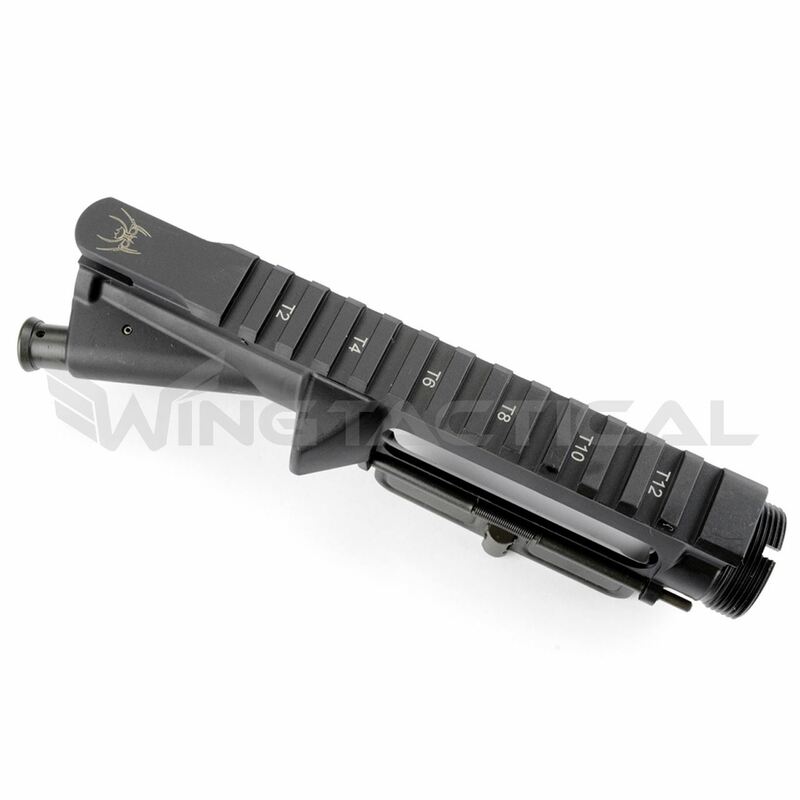 Its flip rear sight is adjustable for windage, and the rear sight has both short- and long-range apertures. It has a light-profile barrel, a fixed-carry handle and forward assist. 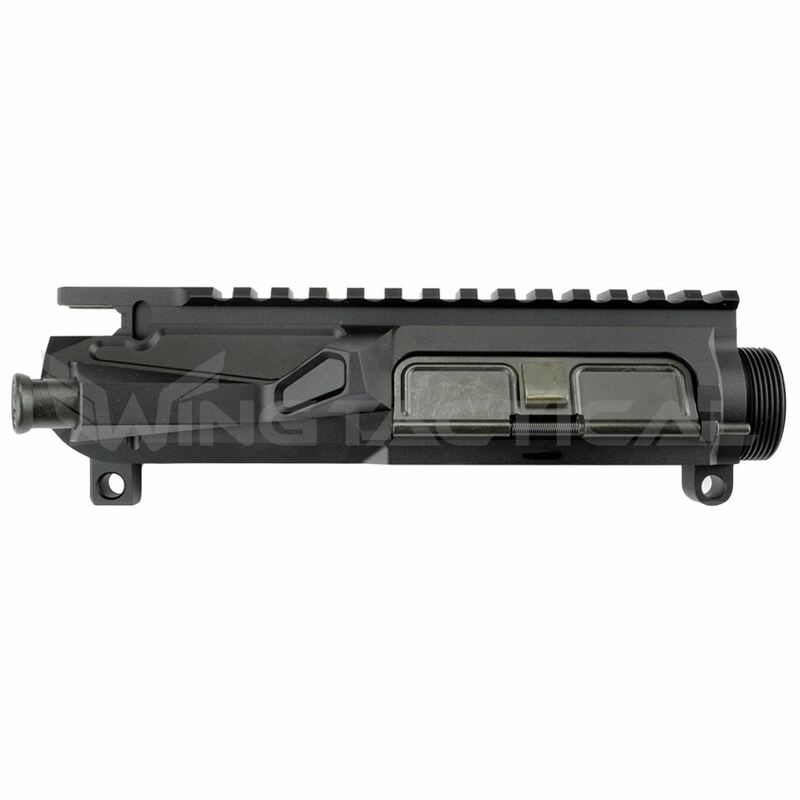 AR-15 A2 Upper Assembly: The A2 came out in the 1980s and features a rear sight that is adjustable for elevation as well as windage. The barrel is heavier than the barrel on the A1. 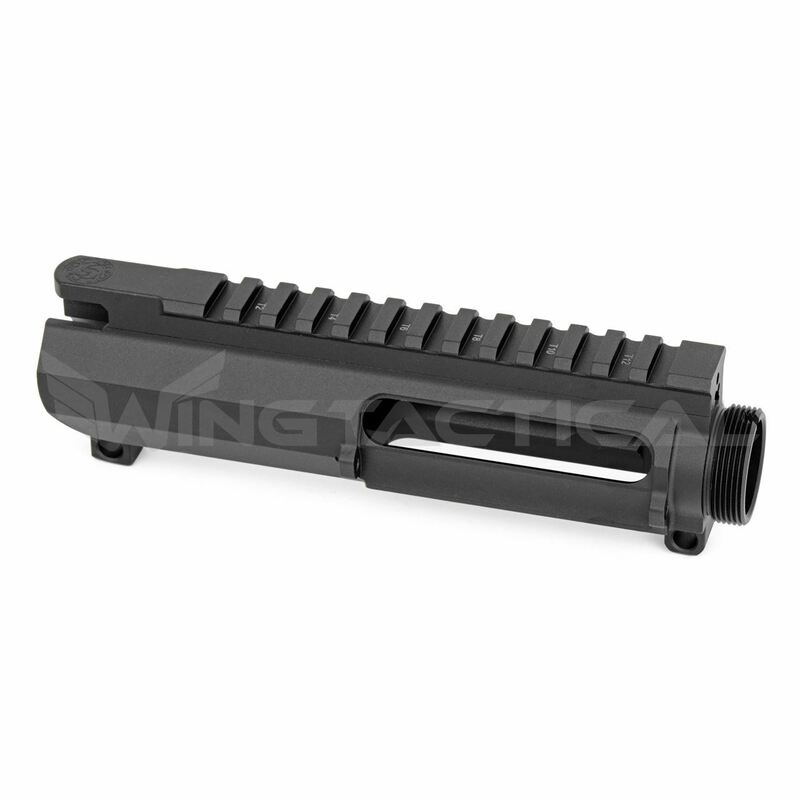 It has rounded handguards and a 1:7 or 1:9 twist rate. Like the A1, it has a fixed-carry handle and forward assist. AR-15 A3 Upper Assembly: The A3 differs from the earlier models in that it has a flat-top configuration and a detachable carrying handle. Some A3 upper receivers also come in a "high-rise" configuration, which provides a higher scope position. 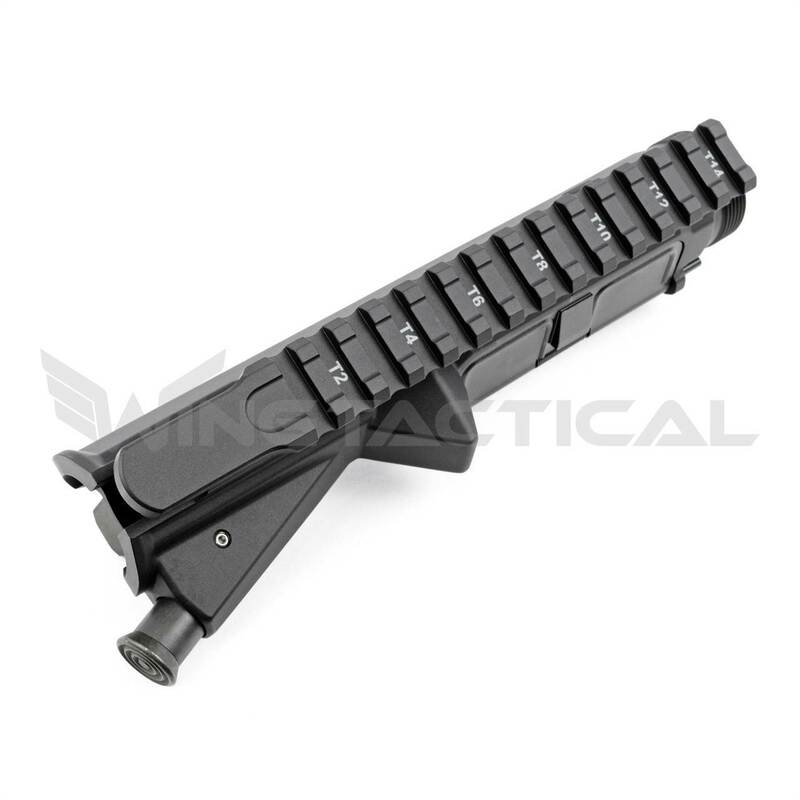 This receiver includes either a Picatinny or Weaver rail as a mounting platform for accessories and also features forward assist and rifle cuts in the feed ramp. 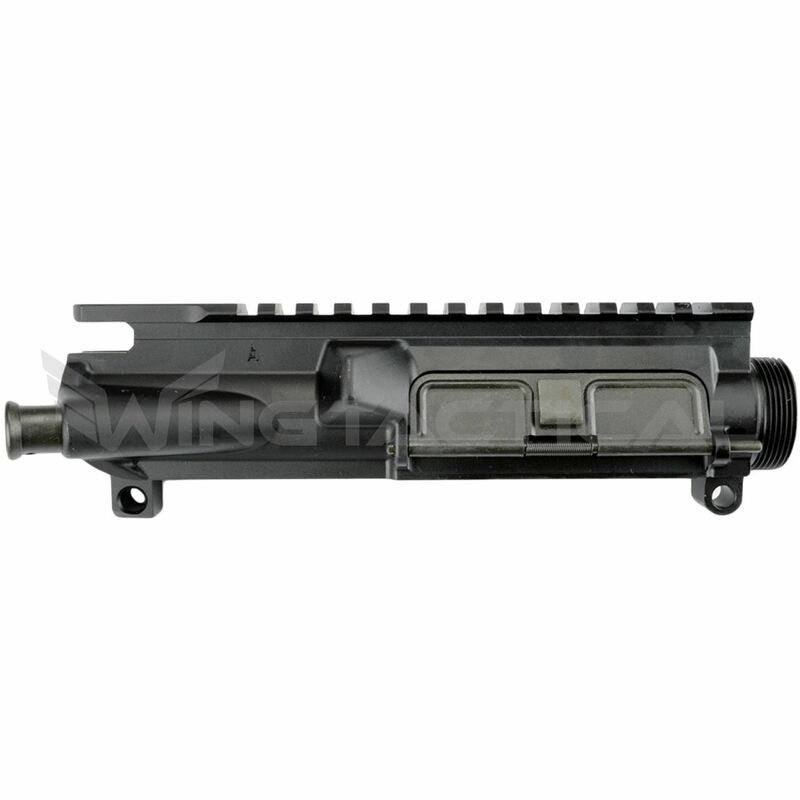 AR-15 A4 Upper Assembly: The A4 is similar to the A3 in that it has a flat-top upper receiver and a comparable overall design. 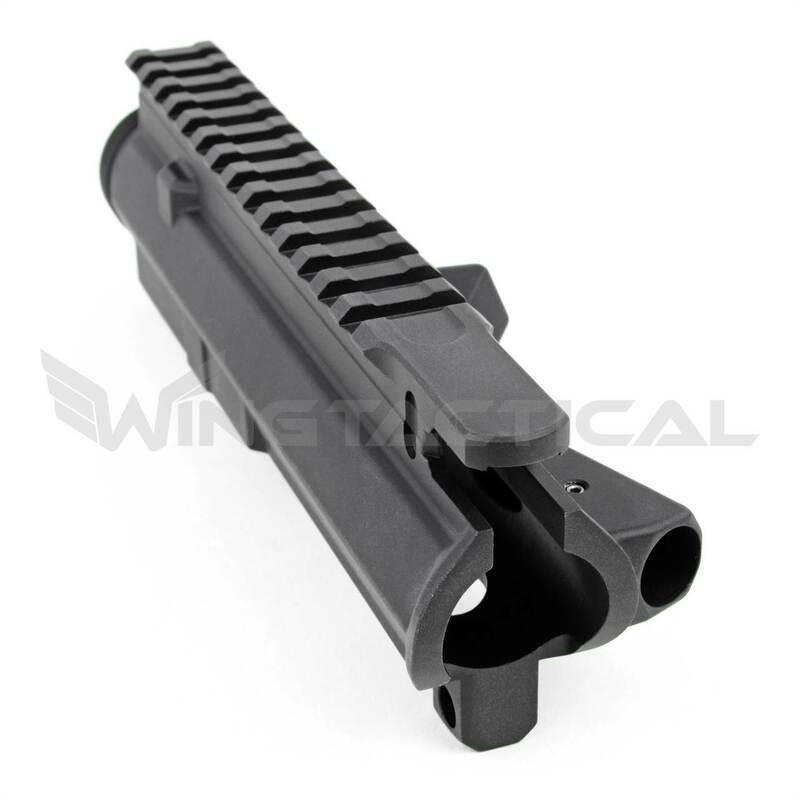 Unlike the A3, the A4 has M4-style feed ramps to complement the feed ramps on an M4 barrel. 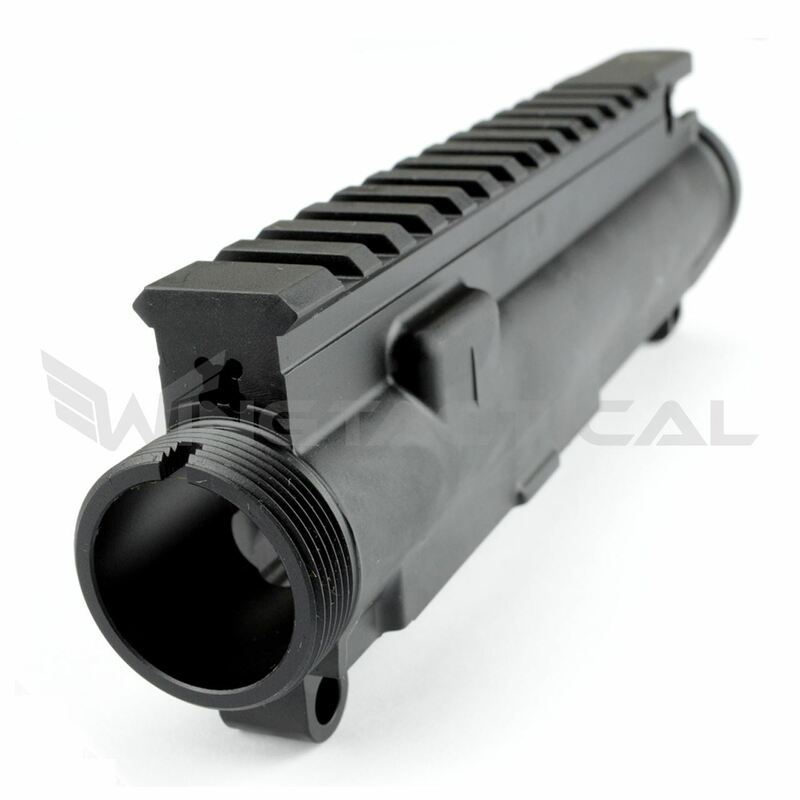 Today when people talk about these various styles, they often use A2 to refer to an upper receiver that has a fixed carrying handle and an A4 to mean a receiver that has a flat top picatinny rail. Although there are technically other differences, these are the most commonly referred to. 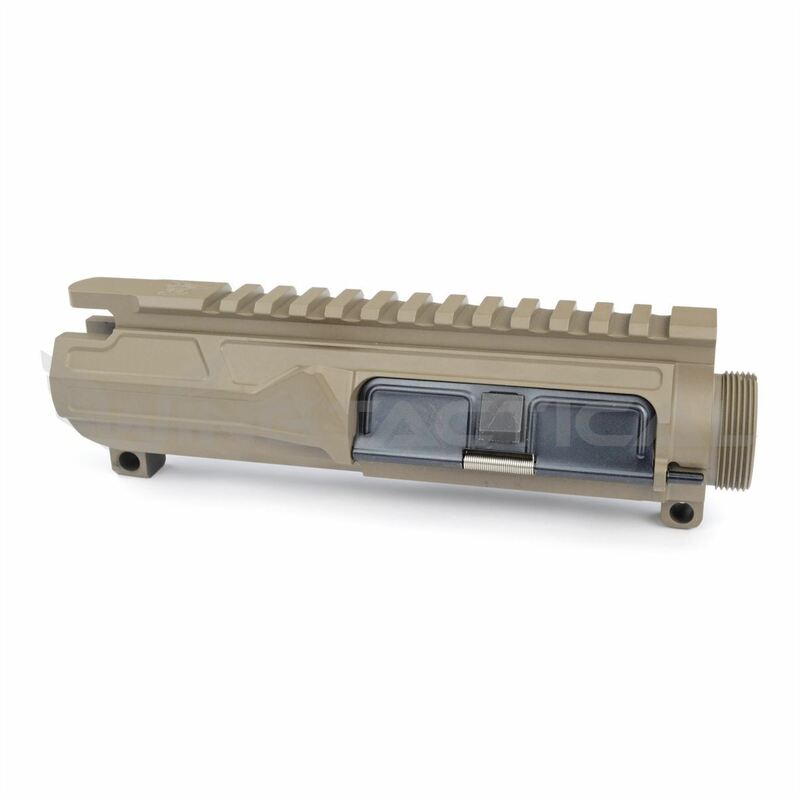 The prominent upper receiver type on today's market is the A4, which includes a variety of customization options. So, if you're looking for a high-quality stripped AR-15 upper receiver that you can customize, which models should you consider? Below are 10 of the top-rated upper receivers, any of which would be a solid choice. The Noveske Stripped Gen 3 Upper is one of the best billet uppers available. 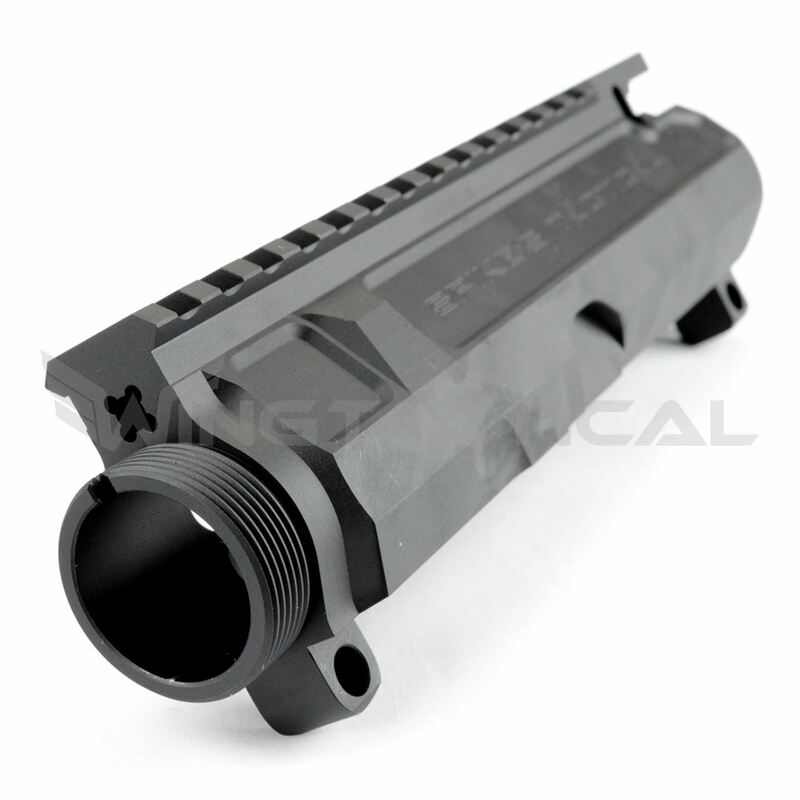 This billet upper is designed to outlast the most rigorous circumstances you can throw at it. 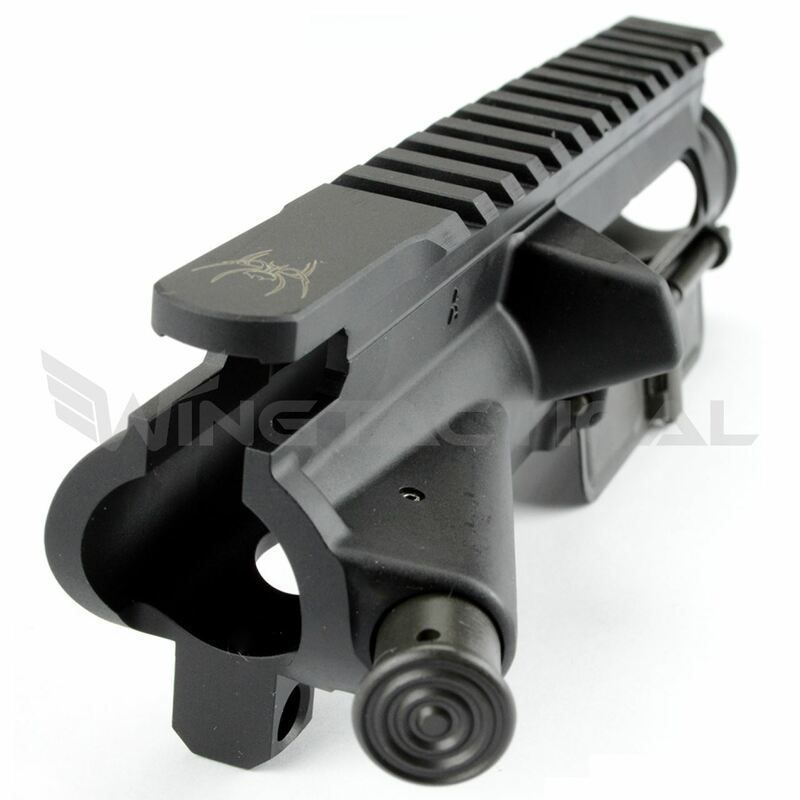 This receiver is compatible with standard forged or billet lowers from other manufacturers, making custom builds easy. It also features M4-style feed ramps, which help prevent nose-diving. The Noveske Stripped Gen 3 Billet Stripped Upper Receiver is machined from solid 7075-T6 billet aluminum, one of the lightest and strongest forgings available. 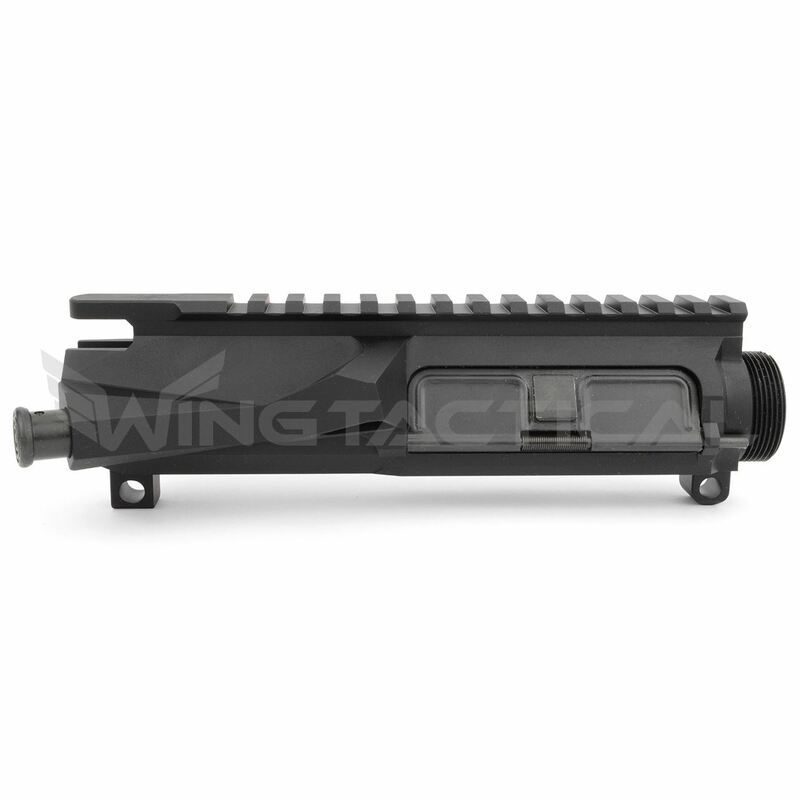 It is then anodized with Mil-Spec type-III hard coat. This coating provides serious defense against wear, scratches, weather, chemicals, and anything else that might damage your upper receiver. 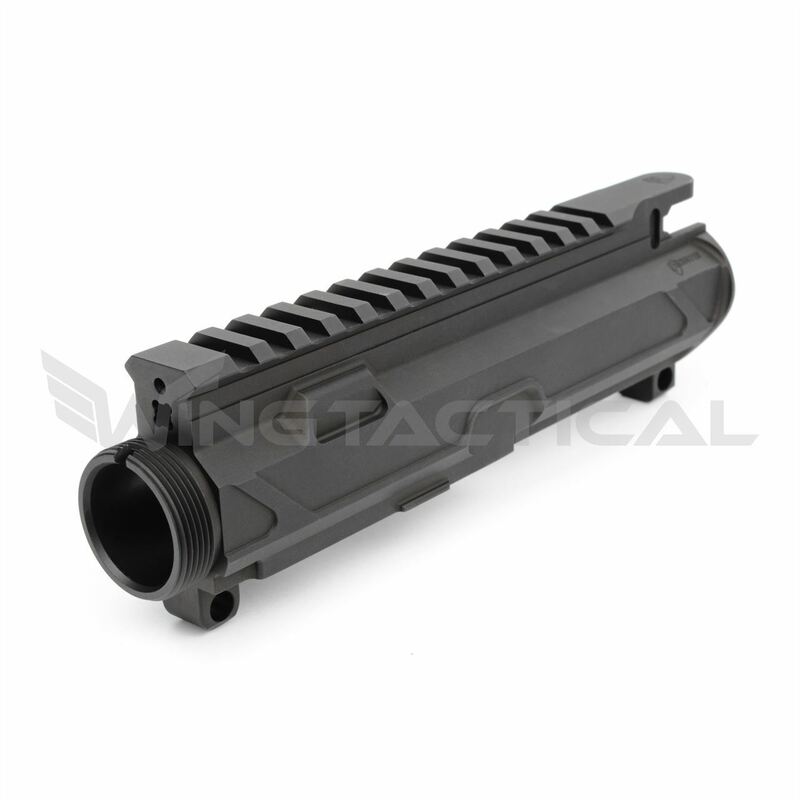 Are you looking for a billet upper receiver made with a passion for high quality and durability? 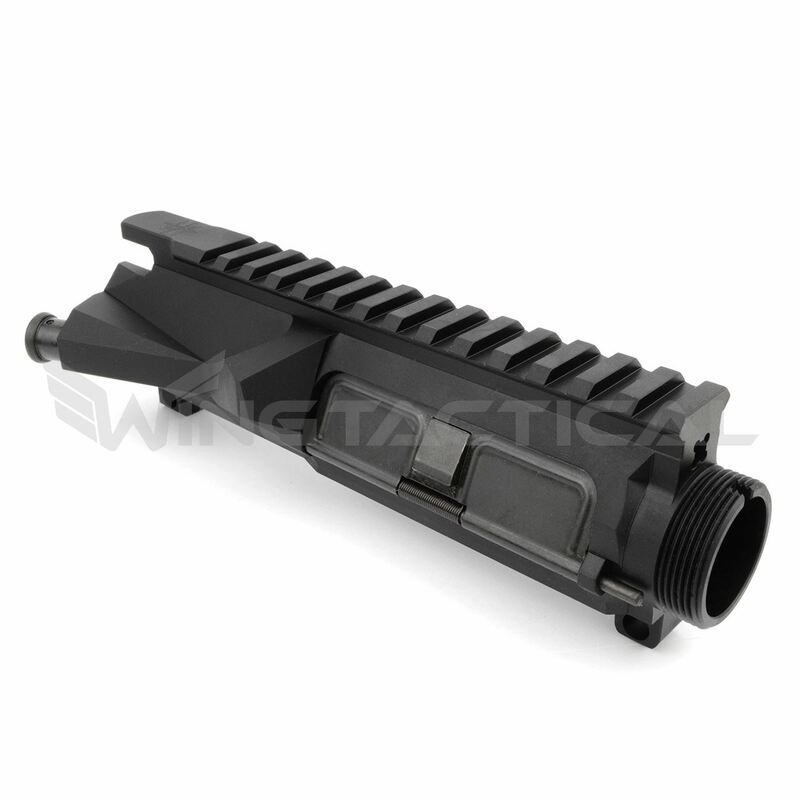 Then consider the Noveske Stripped Gen 3 Billet Upper. The Aero Precision Mil-Spec is one of the toughest upper receivers money can buy. 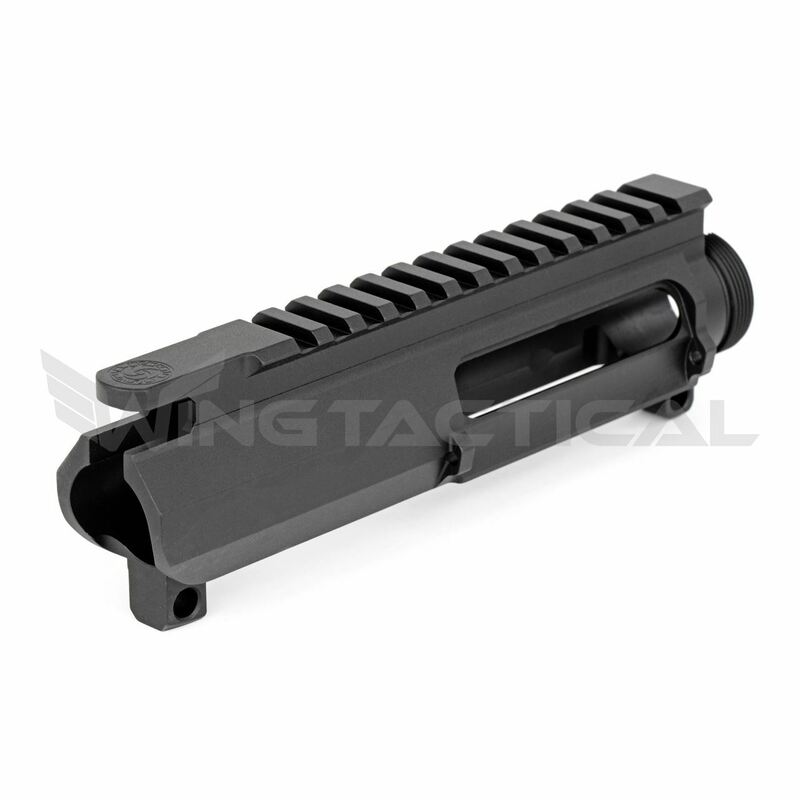 At 6.9 oz., it's built to M16/M4 specifications and features M4 feed ramps and 0.250 takedown pin holes. The Aero Precision is durable at its core. It's precision-machined with high-quality American 7075-T6 aluminum and then finished with type III hard anodized coating. It's built to Mil-Spec standards and has a Picatinny rail that readily accepts optics mount or sights. It's compatible with Mil-Spec components, and you can purchase this receiver with a forward assist and port door or without. You have the option of including a forward assist and port door. This receiver will work with almost any lower. The M4E1 is tough, but it's also nice to look at. 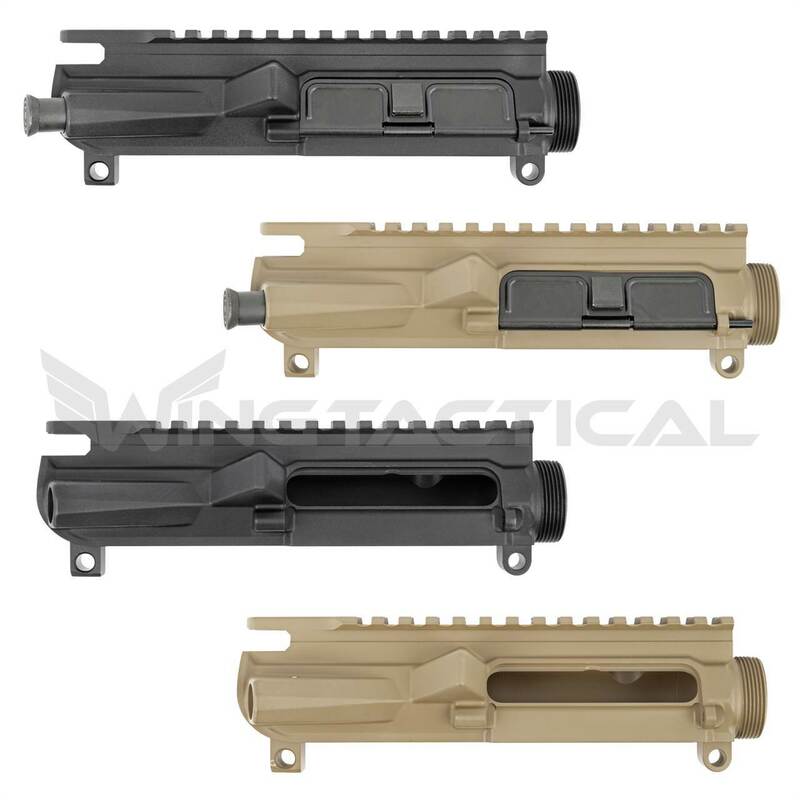 The receiver's enhanced forging process gives it the style of a billet receiver, and it comes in black or flat dark earth. If you, on the other hand, consider yourself something of a minimalist, this CMT Tactical UPUR-4 Slick Side Upper might catch your eye. It doesn't have a forward assist or shell deflector, which helps creates its slick, minimalist look. Sleekness is far from its only positive attribute, though. It's also incredibly sturdy and precise. Cross Machine Tool Tactical uses 7075 T6 billet aluminum, which is more rigid and 65 percent stronger than the standard 6061 aluminum alloy. CMT also uses live-tool five-axis machining, which allows for extremely accurate production. It has thick walls, which add rigidity, and uses type III class 2 hardcoat anodized finish. This 7.58-oz. upper features M4-style feed ramps and a machined dust cover port, although it doesn't include a port door. 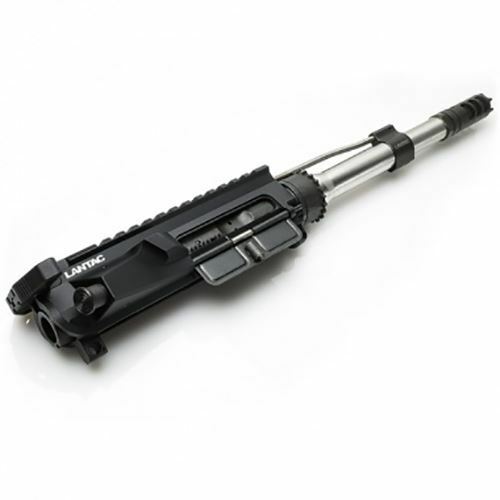 It's compatible with Mil-Spec AR-15 parts, most aftermarket handguards and most battery assist devices. If you're looking for a billet receiver, this is one of your best options. Unlike a forged receiver, a billet upper is machined from one solid piece of metal, giving it a more aggressive appearance. For a billet upper, this upper is relatively lightweight at 8.6 oz. Fortis shaved off as much material as possible without sacrificing strength to reduce weight and create the sleek look that Fortis is known for. It's made in the USA with a single piece of 7075-T6 Billet Aluminum with Mil-Spec type III hardcoat anodized finish for added durability. This receiver also features a flat-top 1913 Picatinny rail, a forward assist and a dust cover. 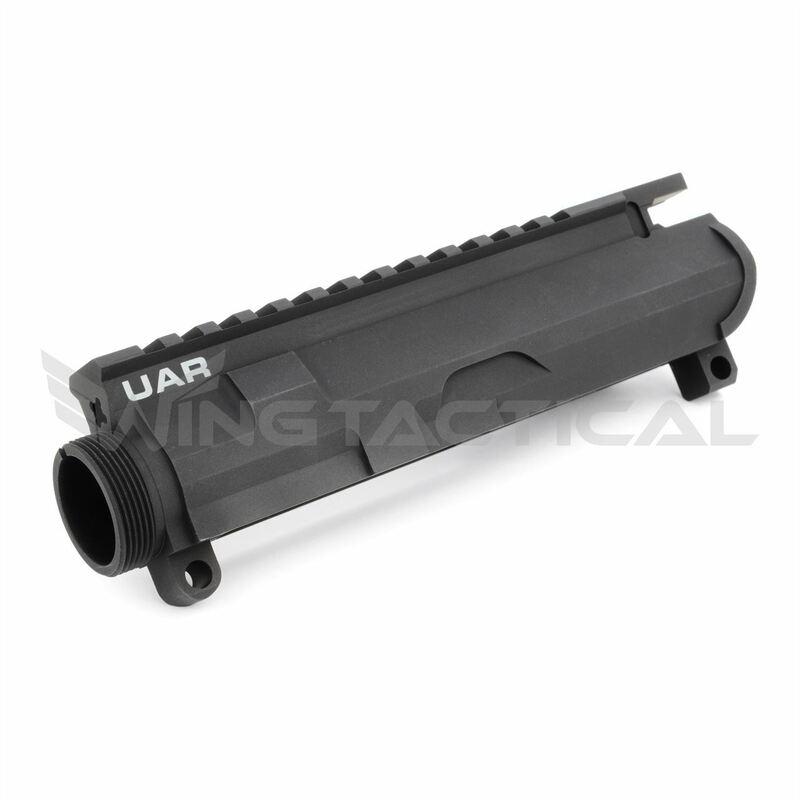 Another top billet option is the LANTAC UAR AR-15 Upper Advanced Receiver, which is designed with reliably smooth operation in mind. The specially burnished bore of this upper gives its interior a roughness average of 16 microinches, as compared to the standard 32 to 63. 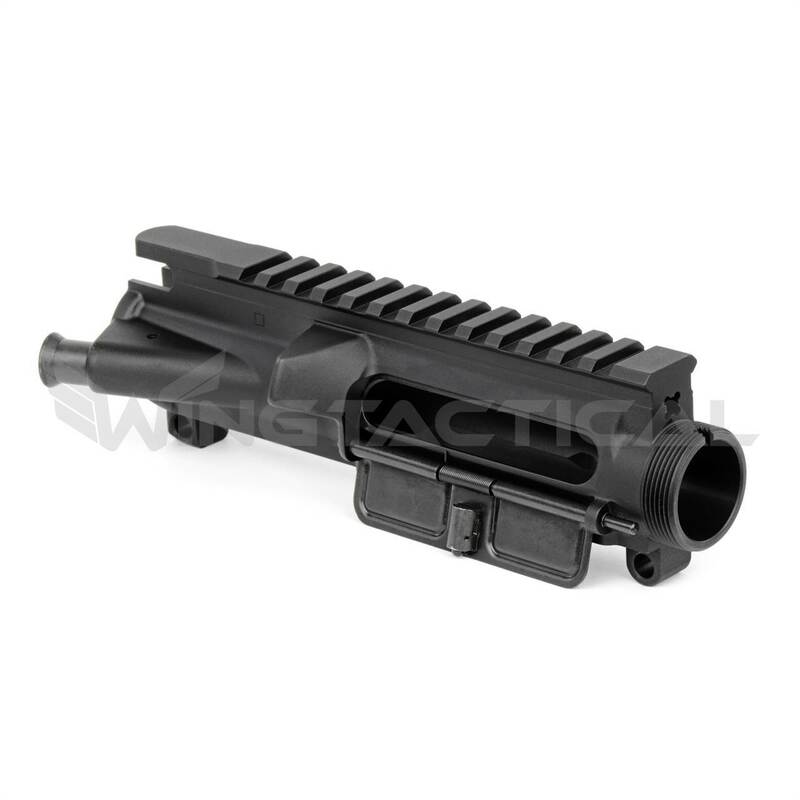 This reduces bolt carrier friction, allowing for seamless functioning. 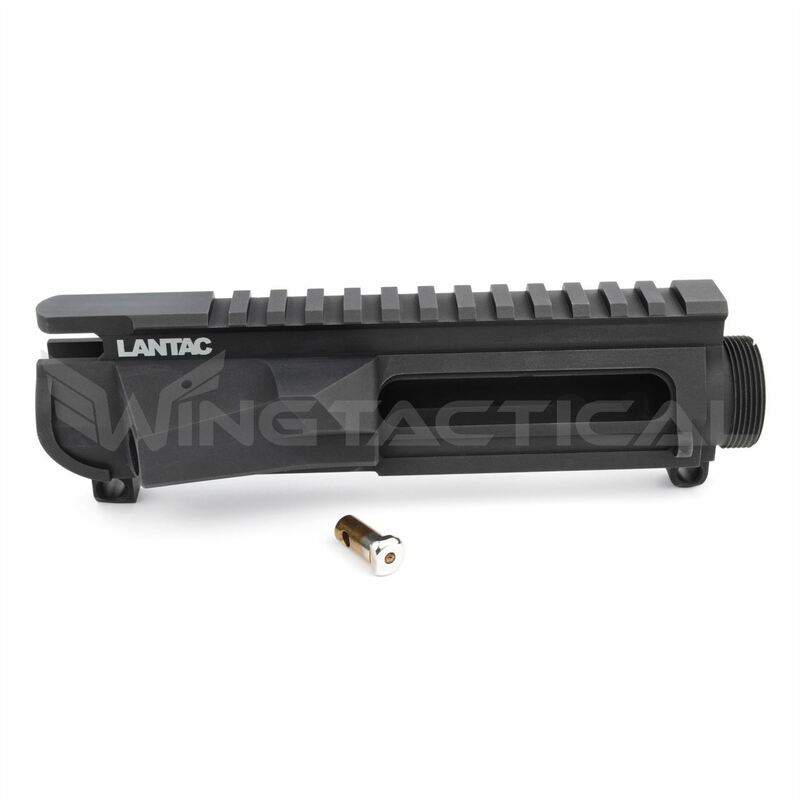 The LANTAC'S SMOOTHCAM system features a domed head CP-R30 cam pin, which has no moving parts, further contributing to this upper's smooth operation. 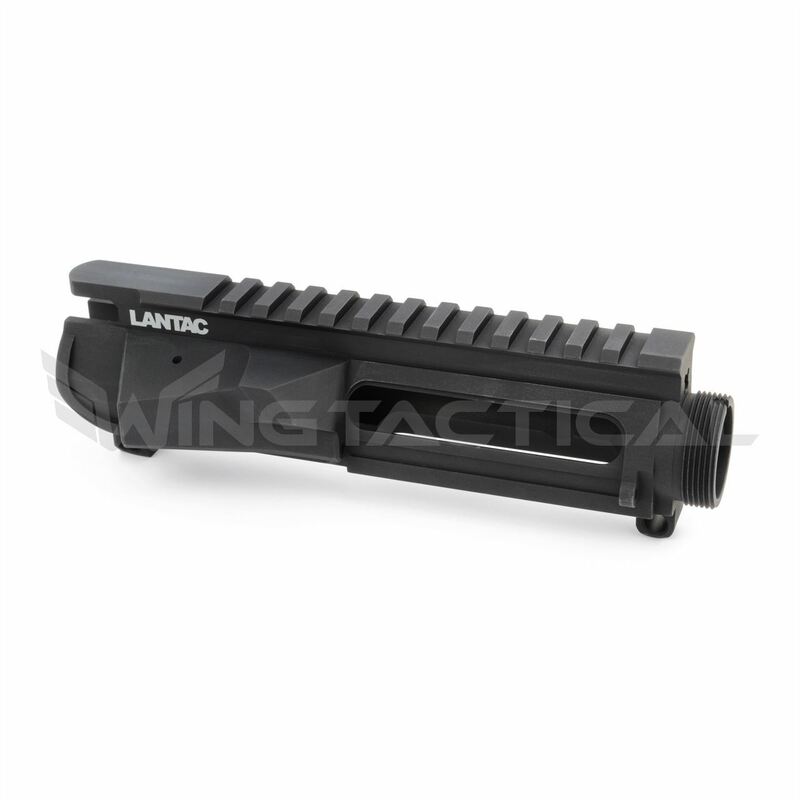 The LANTAC also features M4 feed ramps. It's made of 7075-T6 Billet Aluminum with a Mil-Spec type III class 2 hardcoat-anodized finish and weighs 8.6 oz. If you want a sleek, high-quality upper receiver, consider this one from Odin Works. It has no forward assist, a low-profile brass deflector, cleanly machined lines and a sleek overall design. At 8.6 oz., it's made with the durable but lightweight 7075 Billet Aluminum with a type III class 2 hardcoat anodized finish. It includes a dust cover and comes in black or flat dark earth. Not only is this upper beautiful, but it also combines perfectly with many of the best lowers on the market. 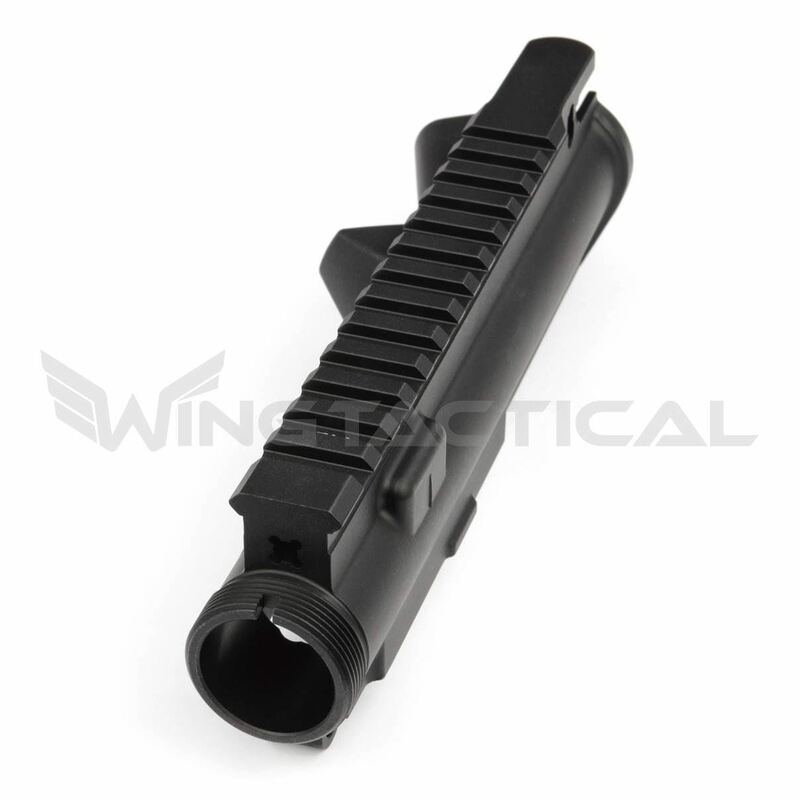 This Seekins Precision upper is high-quality, reliable and durable. While it has a fairly no-frills design, it features a full-length top Mil-Spec 1913 Picatinny Rail, so there's plenty of room to add any accessories you fancy. It's also made equal to or above Mil-Spec standards and will work well with most any part you might want to combine it with. At 11 oz. 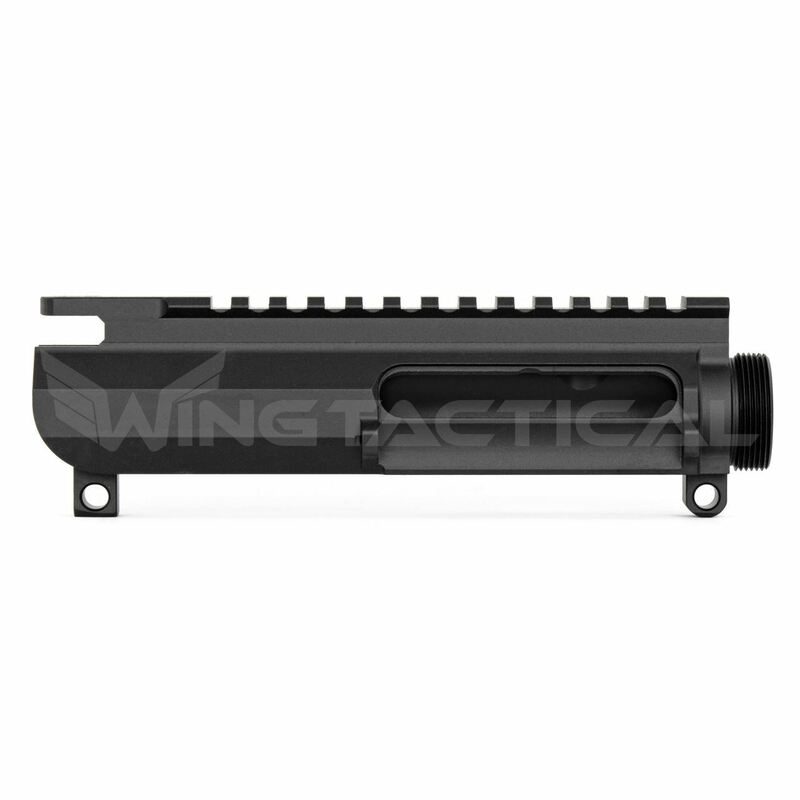 of 7075-T6 Billet Aluminum with a type III class 2 hardcoat anodized finish, this receiver provides the toughness and durability Seekins is known for. This receiver's features and quality construction make the Forged Mil-Spec AR-15 Upper Receiver a go-to for high-performance AR-15 builds. Spike's Tactical machines it from a solid forging of 7075-T6 aluminum before applying a type III hardcoat-anodized finish, resulting in a sturdy component that you can count on, even with heavy use. It has M4 feed ramps, and an ejection port door cover and forward assist come pre-installed. 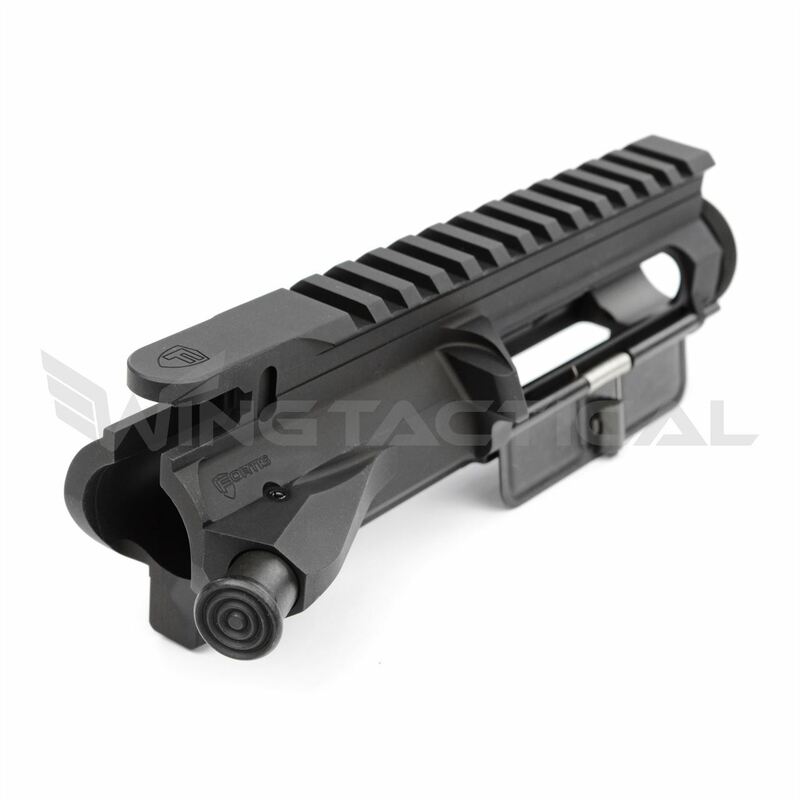 It also includes a Picatinny rail for easy mounting of optics and other accessories. The Gen II from Spike's Tactical is a heavy-duty upper receiver with several unique features that set it apart from other uppers on the market. It's made from a solid billet of 7075-T6 aluminum, employs a type III hardcoat anodized finish and weighs 10.25 oz. 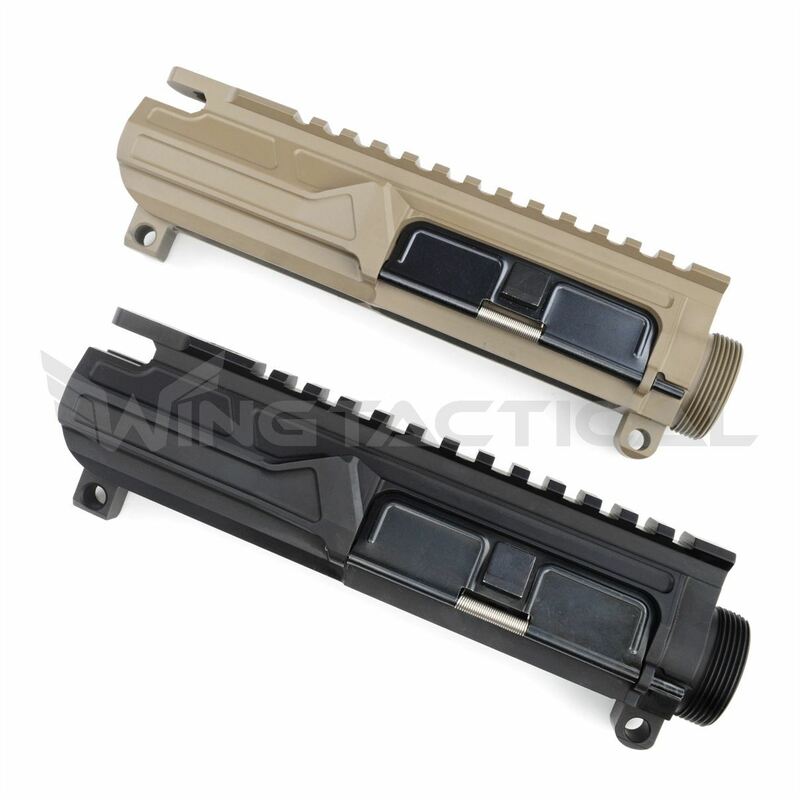 Spike's Tactical cuts the M4 ramps before the anodizing step, which increases reliability. This receiver has also has flared sidewalls on the exterior, which prevent accidental bolt release. It features a pre-installed forward assist port door and dust cover and works with most aftermarket rail systems as well as the Magpul BAD lever and most other aftermarket bolt release levers. So, once you have your upper receiver of choice, what's the next step? First, check your local and state laws so you can be sure you're following them as you work on your custom build. Then, you can start selecting the parts you'll use to create the AR-15 of your dreams. Here are some of the parts you should look for. 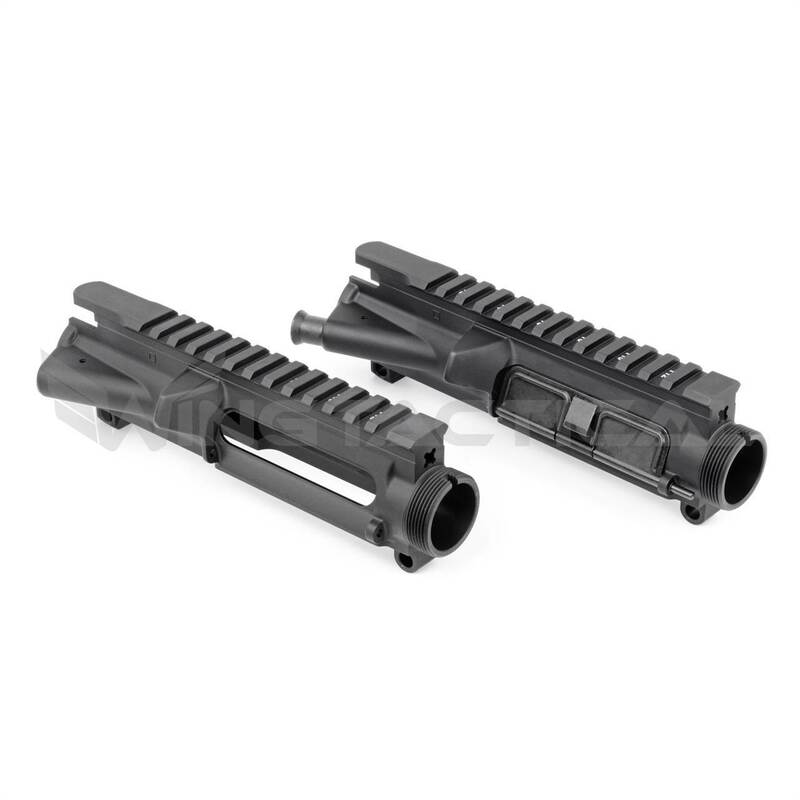 Rails and handguards, which fit over the barrel, protect your hands from the heat created when firing. 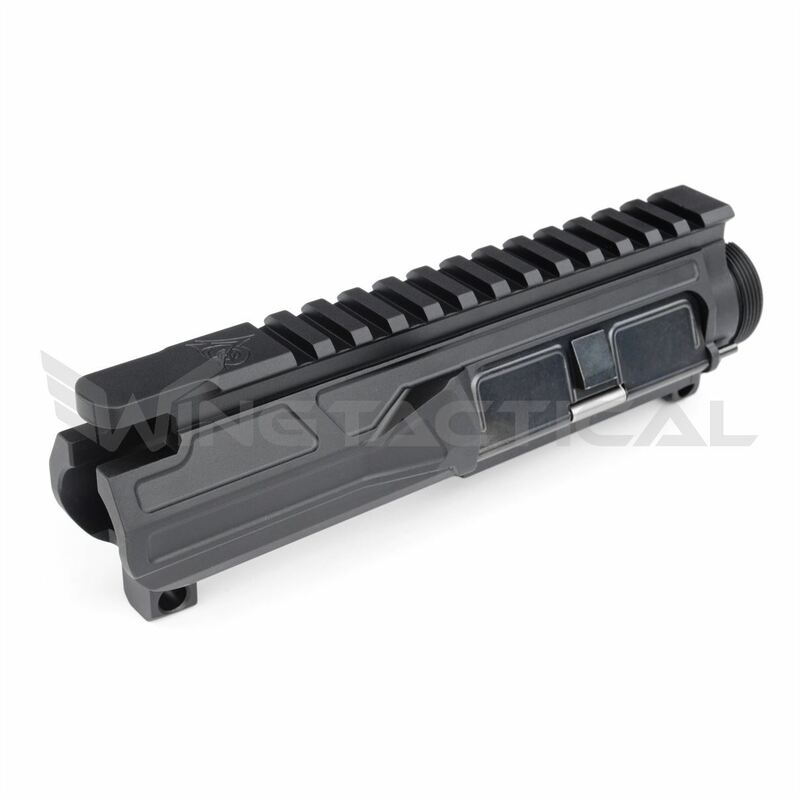 They also enable you to attach accessories such as optics, sights and grips. The barrel you choose will play a crucial role in the accuracy of your AR-15. You can choose among various lengths, shapes and designs for your barrel. Keep in mind that anything shorter than 16 inches qualifies your build as a short-barreled rifle, which makes it subject to the National Firearms Act and the additional regulation that comes along with that. Make sure you complete the necessary paperwork if you choose a shorter barrel so that you stay on the right side of the law. The gas block fits over the barrel and may go under the handguard. The tube then goes into the gas block. If you use an A2-style frontsight, this will double as your gas block. The gas block and tube push the Bolt Carrier Group into the buffer, enabling the ejection of spent casings and chambering of a new round. 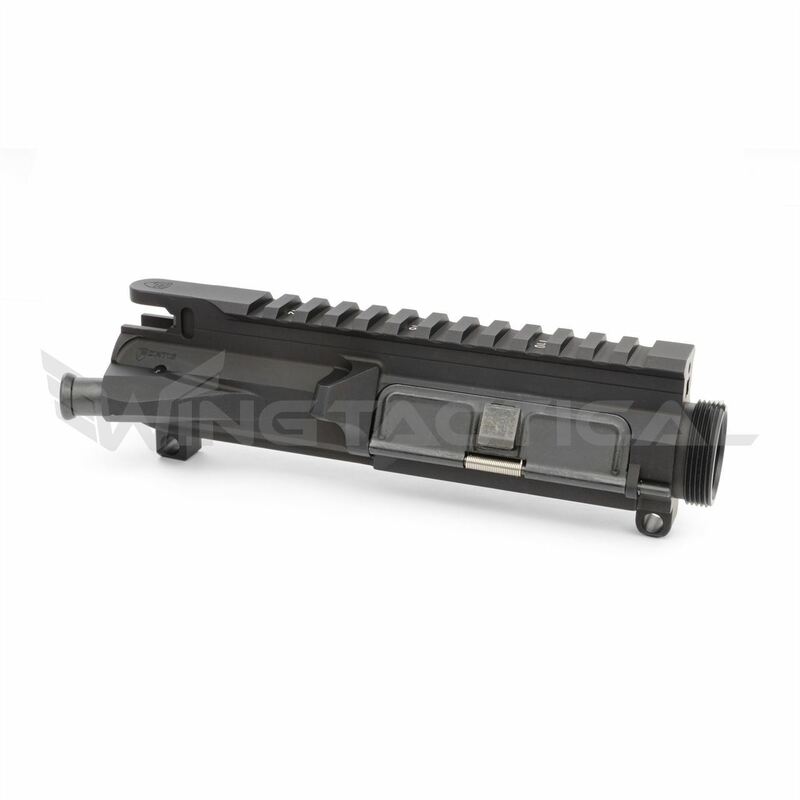 The bolt carrier group, or BCG, holds the firing pin, bolt, extractor and ejector and controls the feeding, firing and ejection of your ammunition. 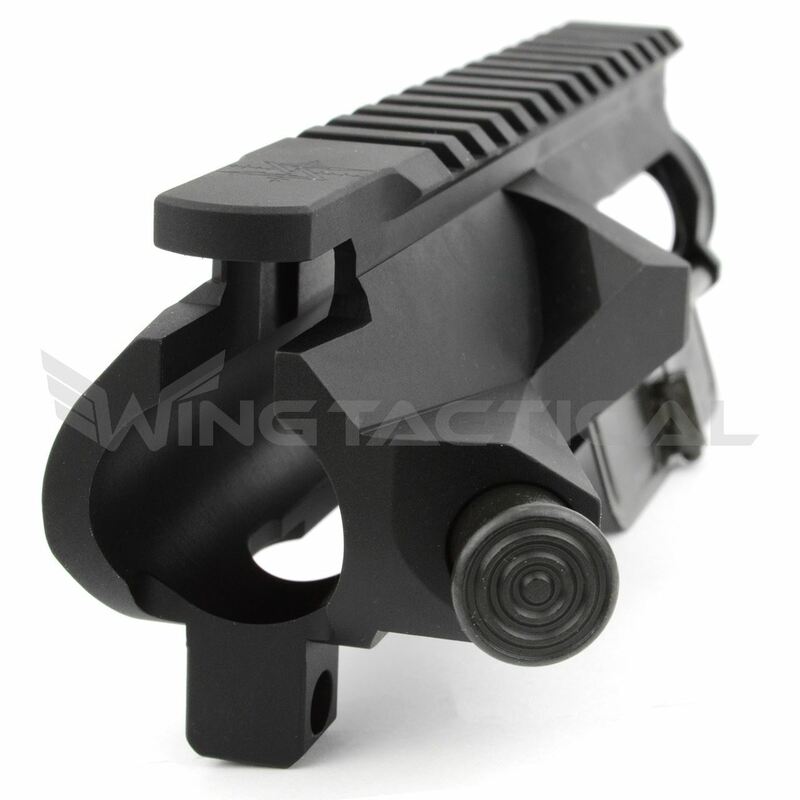 The charging handle enables you to load a round into the chamber or clear a malfunction. It doesn't move when the rifle fires. 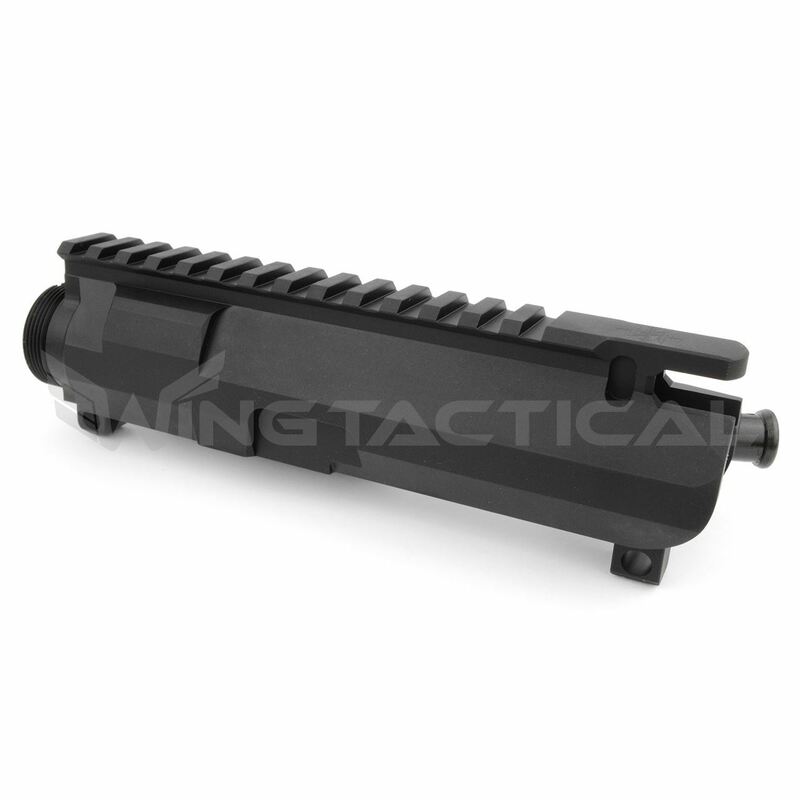 Instead, you use it when you need to move the BCG to load a round or clear a malfunction. You use a forward assist to ensure that the bolt is fully closed in case the return spring doesn't do so. This is one of the parts that's most often viewed as optional. 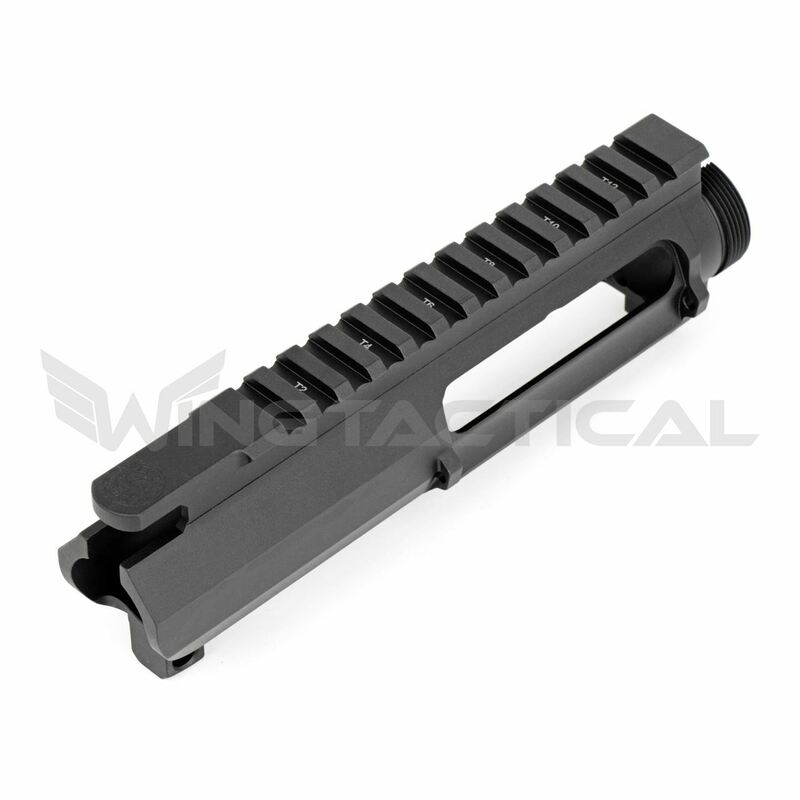 Another optional but useful component, the ejection port cover protects your upper receiver and BCG from debris such as dirt and dust. The port cover opens automatically when the BCG moves back but must be manually closed. 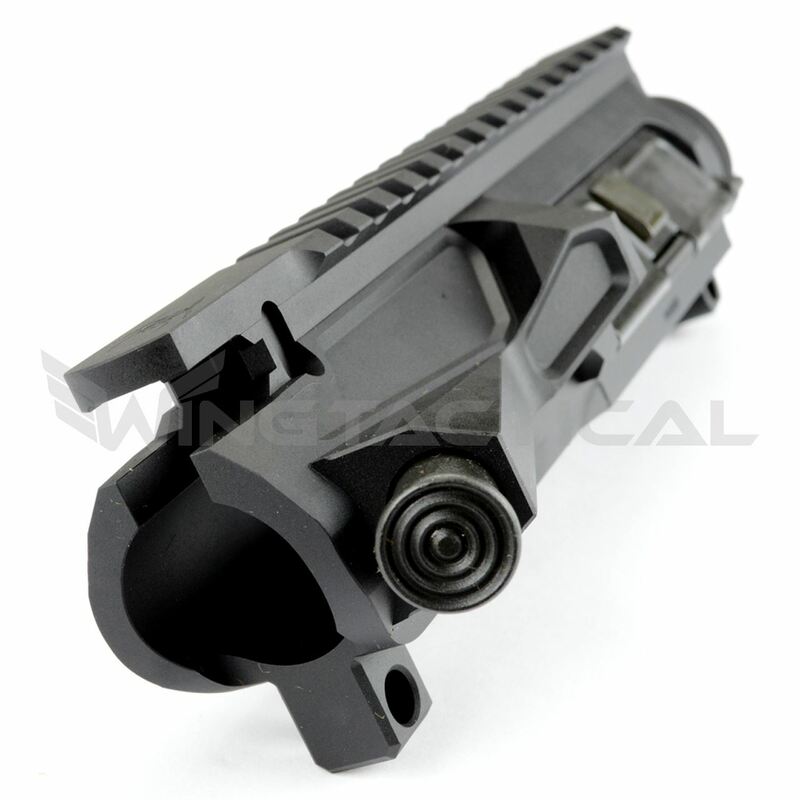 The muzzle brake, compensator and flash hider components attach to the end of the barrel and help to reduce muzzle rise, muzzle flash and recoil. When building a custom AR-15, you need to work with a company you can trust that sells the top-rated AR-15 upper receivers. 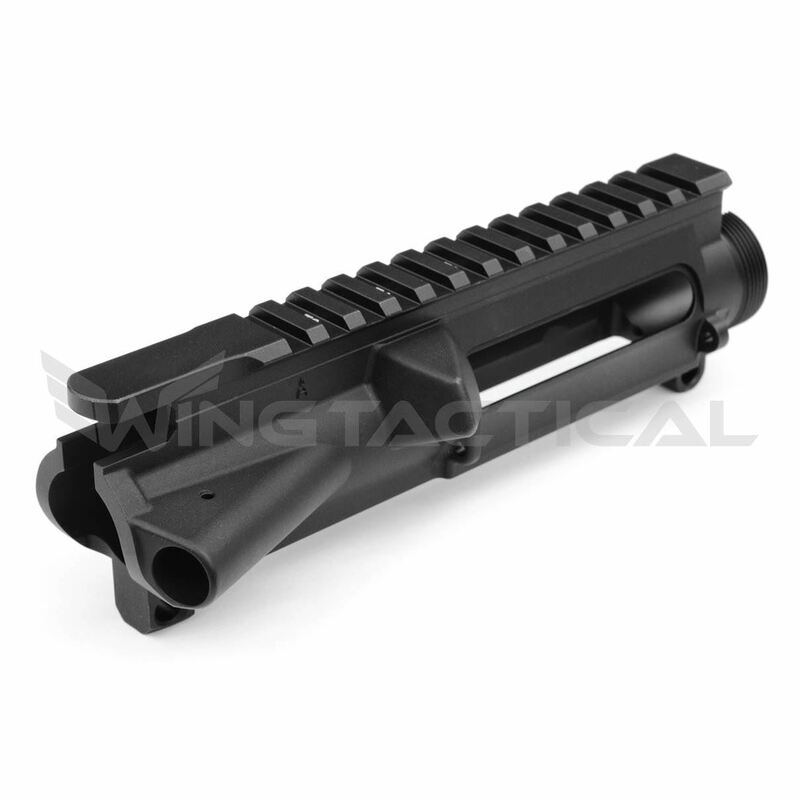 Wing Tactical provides only the highest-quality parts, including the best-rated AR-15 upper receivers, and we pride ourselves on our excellent customer service. We offer next-day shipping, hassle-free 30-day returns and discounts for law enforcement, the military and first responders. Shop our upper receivers today. If you have questions or need help placing your order, contact us or view our FAQs page.